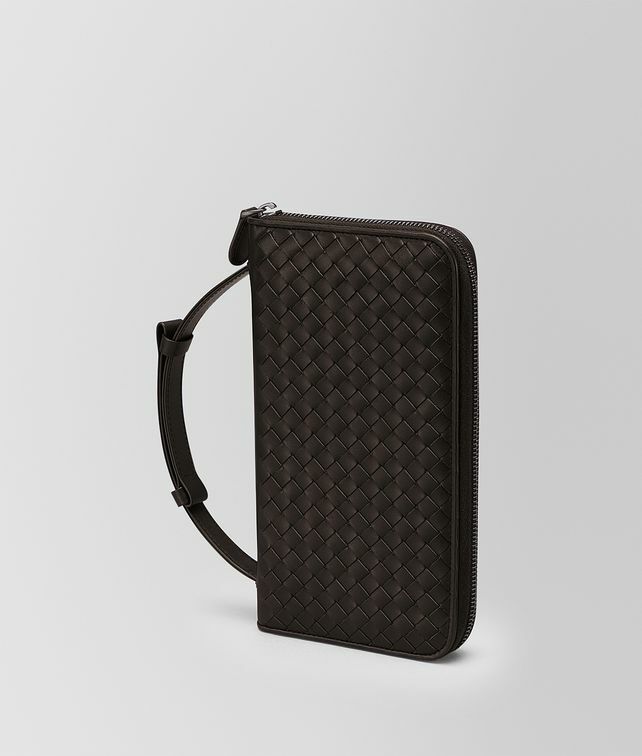 Crafted from sturdy VN leather and finished with the iconic Intrecciato weave, this organised document case doubles as a functional travel wallet. The zip-around design is fitted with a zip pocket, 7 credit card slots, 2 roomy expandable compartments and an additional flat pocket. The extendable carrying handle makes the design extremely versatile. Height 12 cm | 4.7"